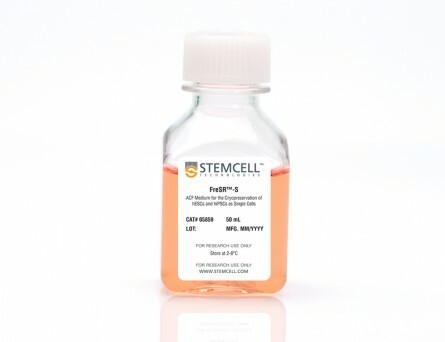 mFreSR™ is a defined, serum-free cryopreservation medium designed for the cryopreservation of human embryonic and induced pluripotent stem cells (ES and iPS cells). 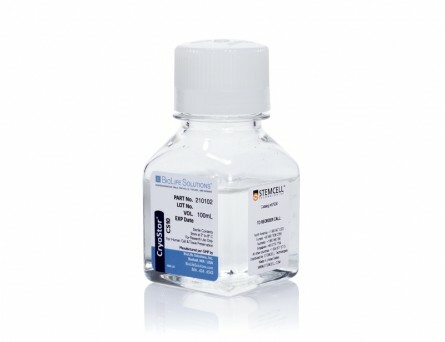 mFreSR™ contains dimethylsulfoxide (DMSO) and is complete and ready-to-use. 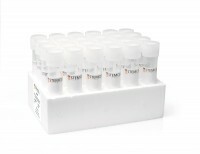 Together with mTeSR™1 or TeSR™2, mFreSR™ eliminates the use of feeders and serum. 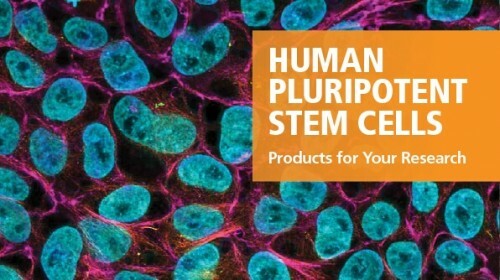 Human ES and iPS cells cryopreserved in mFreSR™ have thawing efficiencies higher than reported conventional thawing methods using serum. H9 hESCs were cryopreserved in mFreSR™ at the indicated passage number. Thawing efficiencies were analyzed by counting the number of surviving clumps after thawing. Functional Maturation of Human Stem Cell-Derived Neurons in Long-Term Cultures. 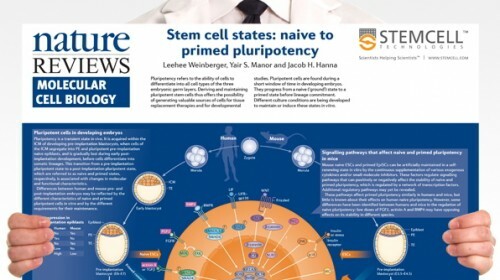 Differentiated neurons can be rapidly acquired, within days, by inducing stem cells to express neurogenic transcription factors. 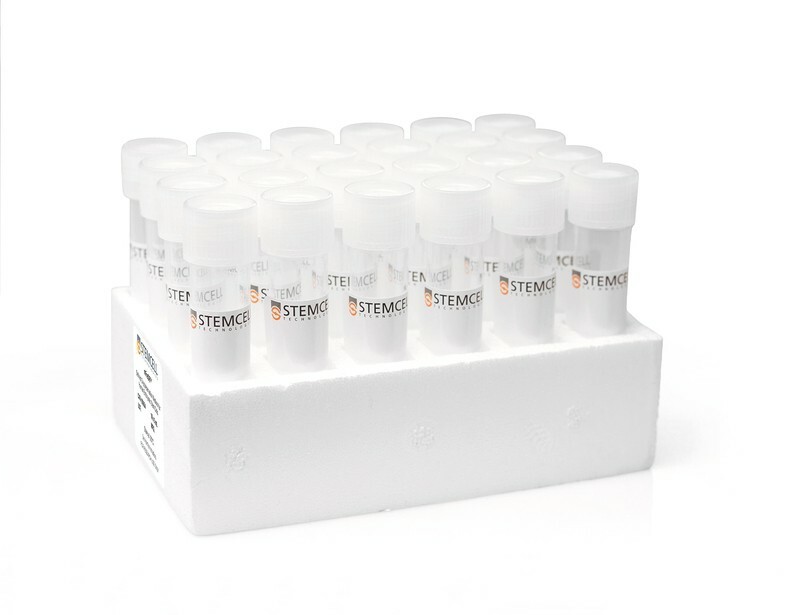 We developed a protocol to maintain long-term cultures of human neurons, called iNGNs, which are obtained by inducing Neurogenin-1 and Neurogenin-2 expression in induced pluripotent stem cells. We followed the functional development of iNGNs over months and they showed many hallmark properties for neuronal maturation, including robust electrical and synaptic activity. Using iNGNs expressing a variant of channelrhodopsin-2, called CatCh, we could control iNGN activity with blue light stimulation. In combination with optogenetic tools, iNGNs offer opportunities for studies that require precise spatial and temporal resolution. iNGNs developed spontaneous network activity, and these networks had excitatory glutamatergic synapses, which we characterized with single-cell synaptic recordings. AMPA glutamatergic receptor activity was especially dominant in postsynaptic recordings, whereas NMDA glutamatergic receptor activity was absent from postsynaptic recordings but present in extrasynaptic recordings. Our results on long-term cultures of iNGNs could help in future studies elucidating mechanisms of human synaptogenesis and neurotransmission, along with the ability to scale-up the size of the cultures. Generation of spinocerebellar ataxia type 3 patient-derived induced pluripotent stem cell line SCA3.B11. Spinocerebellar ataxia type 3 (SCA3) is a dominantly inherited neurodegenerative disease caused by an expansion of the CAG-repeat in ATXN3. 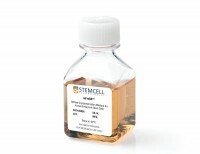 In this study, induced pluripotent stem cells (iPSCs) were generated from SCA3 patient dermal fibroblasts by electroporation with episomal plasmids encoding L-MYC, LIN28, SOX2, KLF4, OCT4 and short hairpin RNA targeting P53. The resulting iPSCs had normal karyotype, were free of integrated episomal plasmids, expressed pluripotency markers, could differentiate into the three germ layers in vitro and retained the disease-causing ATXN3 mutation. 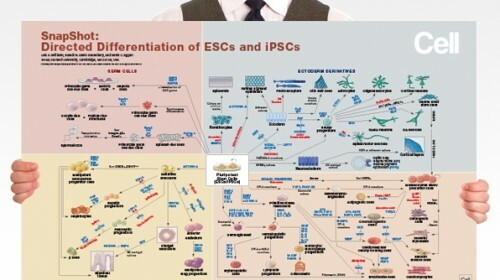 Potentially, this iPSC line could be a useful tool for the investigation of SCA3 disease mechanisms. 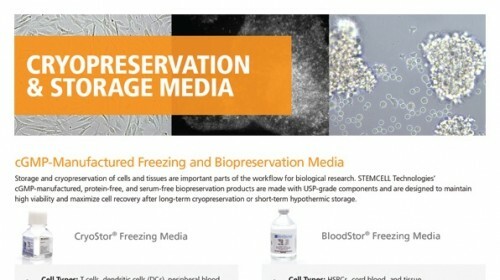 BACKGROUND The therapeutic use of human embryonic stem cells (hESCs) is dependent on an efficient cryopreservation protocol for long-term storage. The aim of this study was to determine whether the combination of three cryoprotecting reagents using two freezing systems might improve hESC recovery rates with maintenance of hESC pluripotency properties for potential cell therapy application. METHODS Recovery rates of hESC colonies which were frozen in three cryoprotective solutions: Me2SO/HES/SR medium, Defined-medium® and Me2SO/SFB in medium solution were evaluated in ultra-slow programmable freezing system (USPF) and a slow-rate freezing system (SRF). 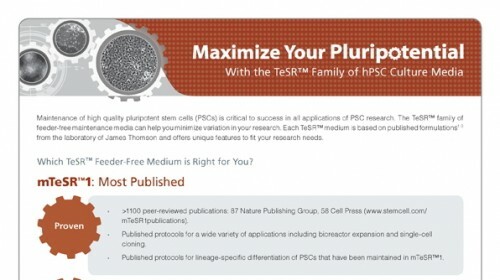 The hESC pluripotency properties after freezing-thawing were evaluated. RESULTS We estimated the distribution frequency of survival colonies and observed that independent of the freezing system used (USPF or SRF) the best results were obtained with Me2SO/HES/SR as cryopreservation medium. We showed a significant hESC recovery colonies rate after thawing in Me2SO/HES/SR medium were 3.88 and 2.9 in USPF and SRF, respectively. The recovery colonies rate with Defined-medium® were 1.05 and 1.07 however in classical Me2SO medium were 0.5 and 0.86 in USPF and SRF, respectively. We showed significant difference between Me2SO/HES/SR medium×Defined-medium® and between Me2SO/HES/SR medium×Me2SO medium, for two cryopreservation systems (Ptextless0.05). 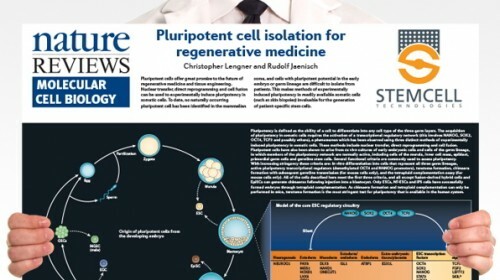 CONCLUSION We developed an in house protocol using the combination of Me2SO/HES/SR medium and ultra-slow programmable freezing system which resulted in hESC colonies that remain undifferentiated, maintain their in vitro and in vivo pluripotency properties and genetic stability. This approach may be suitable for cell therapy studies. 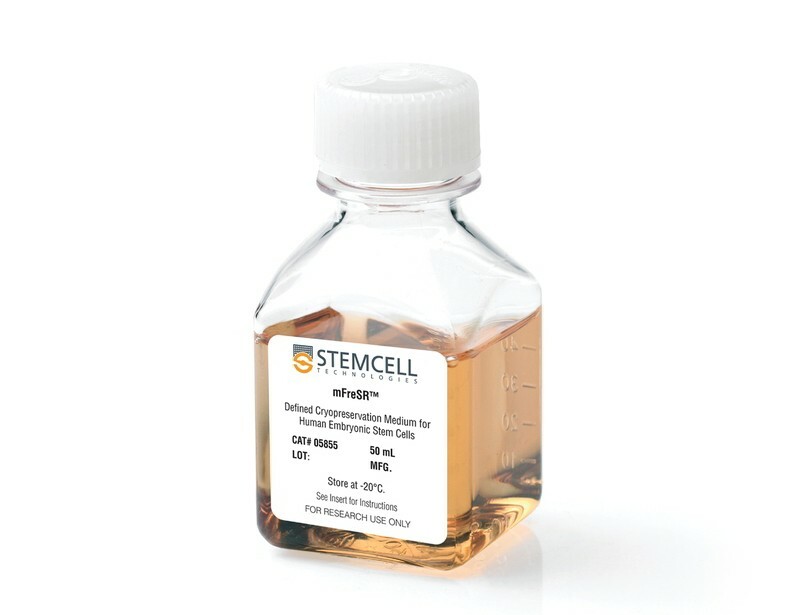 Here we introduce the representative method to culture HESCs under the feeder and feeder-free conditions, the former of which is used to maintain or expand undifferentiated HESCs, and the latter can be used for the preparation of pure HESCs RNA samples, or for screening factors influential on self-renewal of HESCs. We also describe a protocol and tips for conducting gene chip analysis focusing on widely used Affymetrix Microarrays. These techniques will provide us unprecedented scale of biological information that would illuminate a key to decipher complex signaling networks controlling pluripotency.